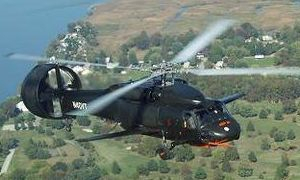 The Piasecki X-49 "SpeedHawk" is an American four-bladed, twin-engined experimental high-speed compound helicopter under development by Piasecki Aircraft. 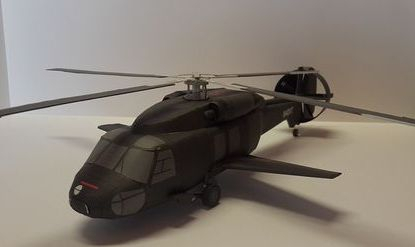 The X-49A is based on the airframe of a Sikorsky YSH-60F Seahawk, but utilizes Piasecki's proprietary vectored thrust ducted propeller (VTDP) design and includes the addition of lifting wings. The concept of the experimental program is to apply the VTDP technology to a production military helicopter to determine any benefit gained through increases in performance or useful load. 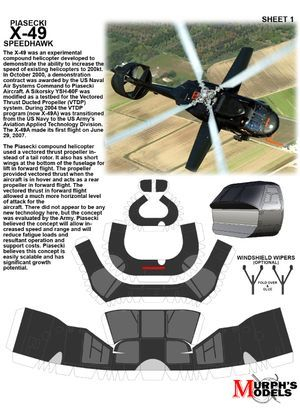 "SpeedHawk" is a concept aircraft based on applying X-49A compounding concepts to a production UH-60 Black Hawkoffering better performance, range, and increases in useful load. The "SpeedHawk" aircraft includes an SPU (third engine), high forward-swept wing concept, a 45-inch "fuselage plug" cabin extension, and several other drag reducing and performance-oriented improvements, including a rotor hub fairing, landing gear streamlining, and a fly-by-wire flight control system.